Есть вопрос для Orchid View Apartment? Удобно расположенный в районе для ресторанов, ночных развлечений, шоппинга, города Бангкок, Orchid View Apartment обеспечит все необходимое, для того, чтобы гости смогли расслабиться и отдохнуть от дневной суеты. Все самые интересные места, расположенные в центре города, находятся всего в 1.0 Km. Также, в непосредственной близости находятся Asia Herb Association - Sawatdee shop, Расаяна Ритрит, Посольство Норвегии. В Orchid View Apartment, отличный сервис и превосходные удобства, помогут сделать ваш отдых незабываемым. Лучшие услуги отеля включают бесплатный Wi-Fi в номерах, Wi-Fi на территории, парковка, обслуживание номеров, семейный номер. Гости могут выбрать из 4 номеров, в каждом из которых, вы будете чувствовать себя как дома, в окружении уютной атмосферы. В отеле можно найти полный спектр услуг для отдыха и развлечений, в том числе фитнес-центр, сауна, внешний бассейн, парная. Получите удовольствие от первоклассного обслуживания и широкого выбора услуг в Orchid View Apartment. Данный отель предназначен для семейного отдыха, поэтому гостей просят не приглашать на территорию посторонних. За каждого дополнительного гостя взимается плата в размере 2000 THB ежедневно. Ранняя регистрация заезда доступна при наличии свободных мест. Pefect sample for family trip accomodation. we were very happy about rooms/living room size. huge apartment with all facilities(laundry, iron, kitchen etc) and very clean. 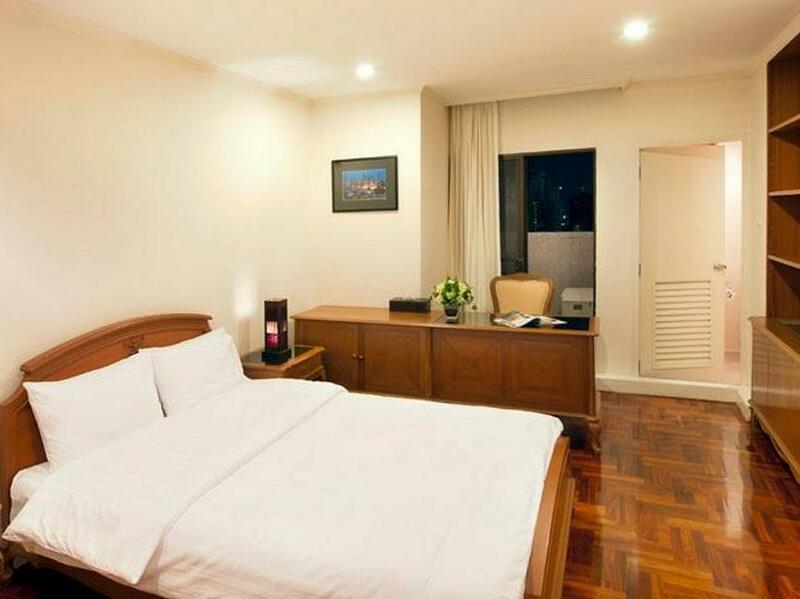 It located in Soi 39 - quite area, but not far away from other main area(Soi 11, So1 55) you can always get taxi and can reach to Soi 11, So1 55 in 5mins. If you want to ignore night party noise from your room this is very good location. It's an old apartment, so don't expect it to be a modern condominium/serviced apartment standard. However, it's comfortable and extremely large. Best part about the place is the fully furnished, literally to kitchenware, wine glasses, pots and pans, microwaves.... most of the stuff were there to prepare a meal. Good for travelers who prefer to cook rather than indulging on the seafood/thai food out there. Services were good, with friendly security. Only 'disappointment' is that the intercontinental breakfast that's included actually meant a fridge packed with milk/juices/yoghurts and snacks/bread/jams/butter etc all over. Not exactly what I have in mind but it's something different and refreshing in a way still, like i say, a homely feel for the whole experience. Large rooms. Clean rooms. Quiet surrounding. 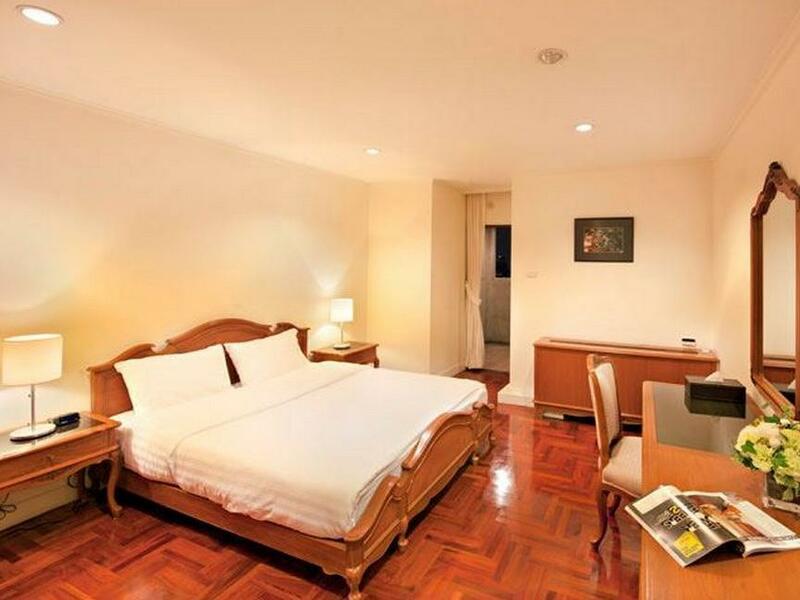 Good location for Sukhumvit area close to all restaurant and night life. We have a group of 9 people stay at the place. Our reservation was 4 bed rooms complete with large living room, dinning table with large kitchen. Very spacious even with 9 people. This is a real deal for big group who travel together or big family. Great value. 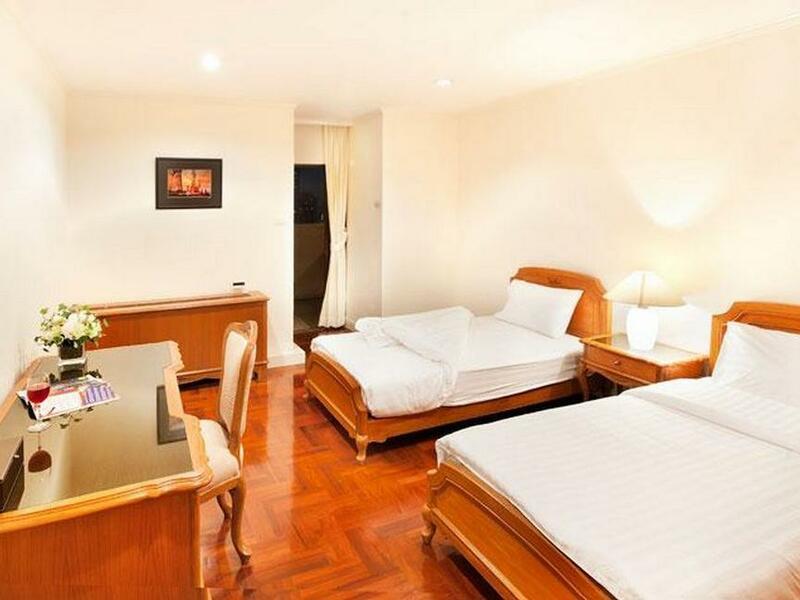 Very spacious room, very friendly staffs, location is ok. Location is not the best, a bit far from BTS (about 15min walk). 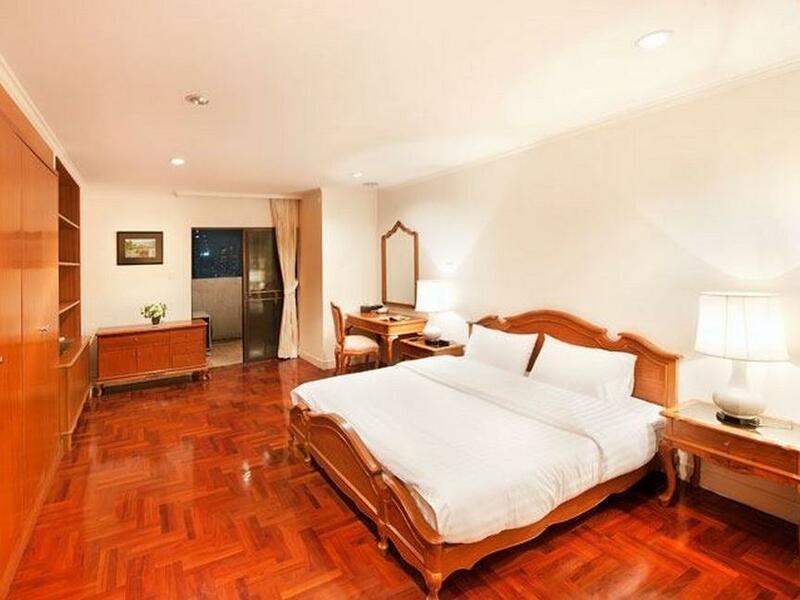 Very spacious rooms and great very helpful staffs. Everything else is excellent, only if the apartment nearee to BTS then it is perfect. Nice and quiet service apartment. the room is big and clean and the staff is very helpful. but it would be good that the service apartment provide shuffle service to BTS as there is a 10 min walk to BTS. Good management. The flat is more than 250 square feet with 4 independent rooms. All electric appliance are new model and Wifi service is also available the whole flat. Besides, all food served in are free of charge and in various style. A little comment is that need walk around 15 minutes to the MRT station. Never seen such a clean place like this appartments. Very larg living rooms, Clean, Kitchen equipped with all your needs, near the samiviteg hospital. we had a great time. we stayed for 3 nights. the complimentary basket was replenished everyday. the rooms were made up daily. though it's quite a walk to the phrom phong bts station (about 800m) there are many tuk2 and taxis available. there are also free wifi. Orchid View Apartment was a wonderful place to stay. Great wonderful friendly service. The apartment was big and spacious with a touch of luxury with the furnishings. Views from the top was amazing day or night. The apartment pool was clean and clear and the gym facilities was great!